The reason this is key is because throughout the previous 89 years of the Academy Awards, there have only been 4 instances where a film won Best Picture, yet its director did not earn a Best Director nomination. The first 2 instances happened within the first five years of the awards (including its inaugural year), the third happened in 1990 when Driving Miss Daisy won Best Picture despite its director Bruce Beresford not earning a nomination, and the last occurred in 2013 when Argo won despite Ben Affleck's snub. Argo won in large part to the backlash to Affleck failing to earn a Best Director nomination and the climate in which films entitled Wings and Grand Hotel won Best Picture look nothing like today's movie and Oscar climate. While it's certainly possible for a film to win Best Picture without its director earned a nomination, the odds are stacked against it. A great indicator of recent years of Best Picture success is the SAG awards. Except for the first year of the SAG awards (seems to be a trend of the freshmen year being the outlier year) the Oscar winner for Best Picture has earned a SAG nomination for Best Ensemble. That's 22 straight years of this trend. Think about 2016 where La La Land was the clear and runaway favorite to win Best Picture up until the point where Jimmy Kimmel told the world that Moonlight had won. Guess which film DID earn a SAG ensemble nomination, and which one didn't. In 2015, a year where we thought any film from The Big Short, Mad Max: Fury Road, or The Revenant could win, it was the SAG Ensemble winner Spotlight that took home the Best Picture Oscar. The reason for this trend is because actors are by far and away the largest voting block of The Academy. The SAG nominations are insight into how the plurality of voters feel about the year in pictures. And yes, even though the technical award is "Outstanding Performance by a Cast in a Motion Picture" the nominating body treats this as their Best Picture. Beasts of No Nation earned a nomination in this category in 2015 and there's basically only 2 actors in that. 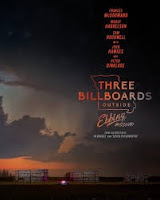 The three films that earned a Best Picture Academy Award nomination as well as a SAG nomination for Best Cast were Three Billboards, Get Out, and Lady Bird. As we have already ruled out Three Billboards, the two films that I believe have a chance to win Best Picture are Greta Gerwig's Lady Bird and Jordan Peele's Get Out. Both Gerwig and Peele also earned Best Original Screenplay and Best Director nominations. I'm giving Lady Bird the edge over Get Out for two reasons. The first is the political and social climate we're in. It's easy to say Best Picture goes to the film that's truly better than every other film, but what does that mean? If the film earns a Best Picture nomination, by its very definition it is good. What makes one good film better than another good film? The Best Picture winner is a reflection on how The Academy sees itself. After two years of #OscarsSoWhite, the Best Picture winner was Moonlight, which beat out a film about Hollywood (La La Land) which used to be the gold bearer for Best Picture winners with films like The Artist, Argo, and Birdman. 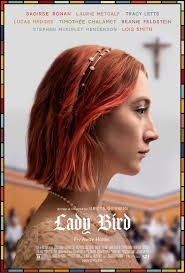 In the wake of the Harvey Weinstein ousting and the #TimesUp movement, Lady Bird, a film written and directed by a women about a female coming-of-age story, seems like the perfect representation of Hollywood would like to think of itself. The second reason I give the edge to Lady Bird is because the preferential ballots. This current system of voting rewards films that The Academy is passionate about. The current Oscar system rewards your second and third choice just as highly as your first choice, see Moonlight's 98% on Rotten Tomatoes compared to La La Land's 92% or Spotlight's 97% compared to The Revenant's 80%. Films that are essentially universally beloved are going to be higher on people's ballots, even if its not #1. That's the way I see the current climate of Three Billboards (93%) or The Shape of Water (92%) vs. films like Lady Bird (99% and the highest reviewed film of all time on RT) and Get Out (99%). Three Billboards and The Shape of Water might get more #1 votes during the first round of voting but are also going to be low on many other people's ballots, but Lady Bird is sure as hell going to see a whole lotta #2 and #3 votes which I believe will propel it to victory. And while Lady Bird and Get Out both sit comfortably at 99%, since Lady Bird is the better reviewed film, I give it the slight edge. As of the posting of this blog, Lady Bird has 5/1 odds to win Best Picture and Get Out has 20/1. Both Three Billboards and The Shape of Water are considered the more likely winners and I think that's a mistake. Place good money on both Lady Bird and Get Out and thank me March. If you ask me which film will win Best Picture right now, I saw Lady Bird.